Day 14: Holly had a special day planned for us. 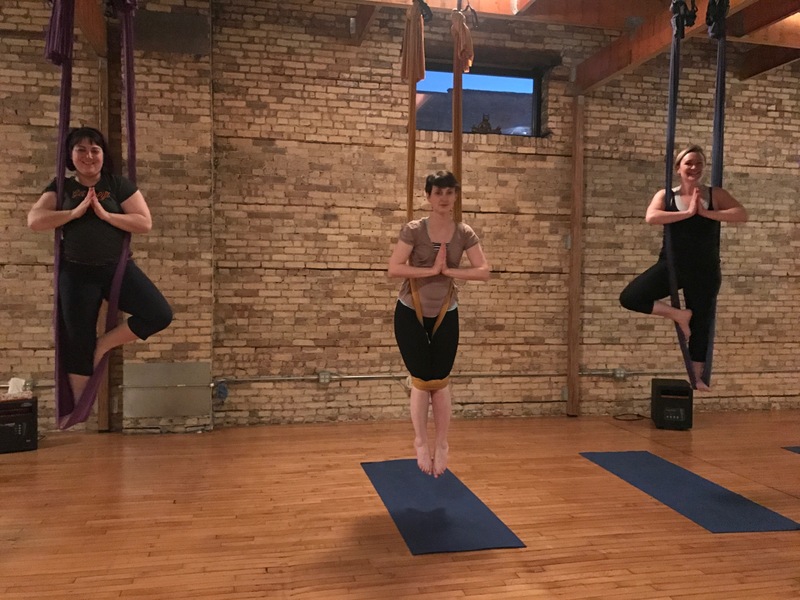 An almost private aerial yoga class. 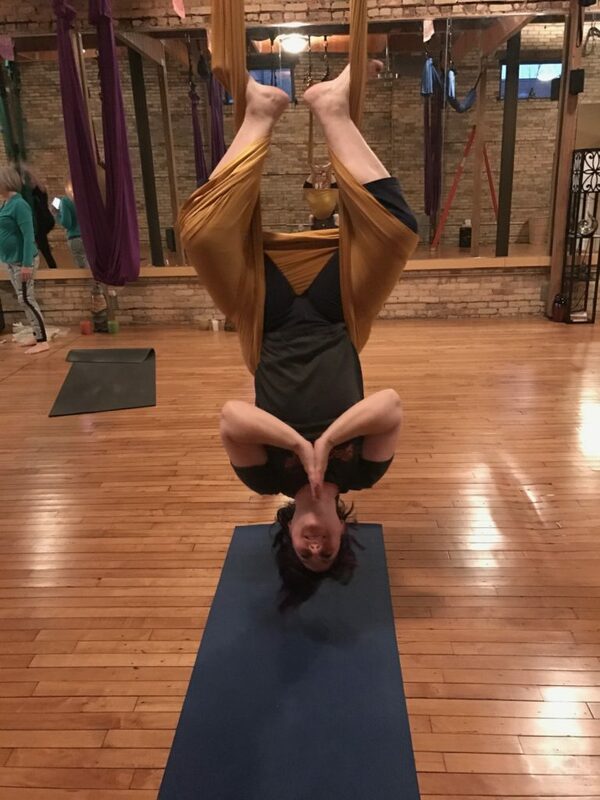 But the best part was that our friend and old roommate Julie and her wife drove up from Chicago just to see us and Julie came to the class with us! 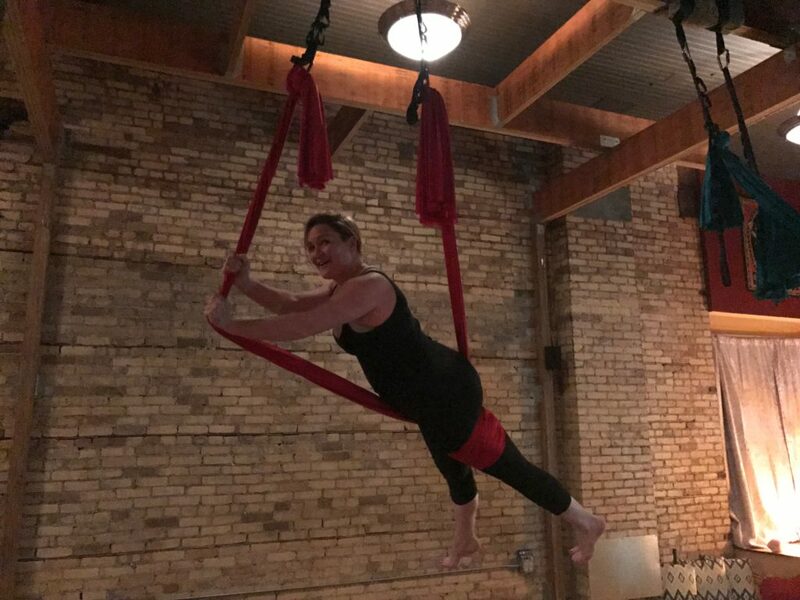 Now I have done aerial yoga before but I don’t remember it being quite as hard or hurting quite as much as it did. Regardless we had a blast and it was a really fun and unique experience. Day 15: Holly and I took our yoga practice to the mat for a wonderful charity event. We were in a huge ballroom full of fellow yogis and 5 different teachers took us through mini yoga practices for about an hour. It was actually a great class and I appreciated the variety in the various teachers’ style. The hardest and most interesting part was the very first teacher. 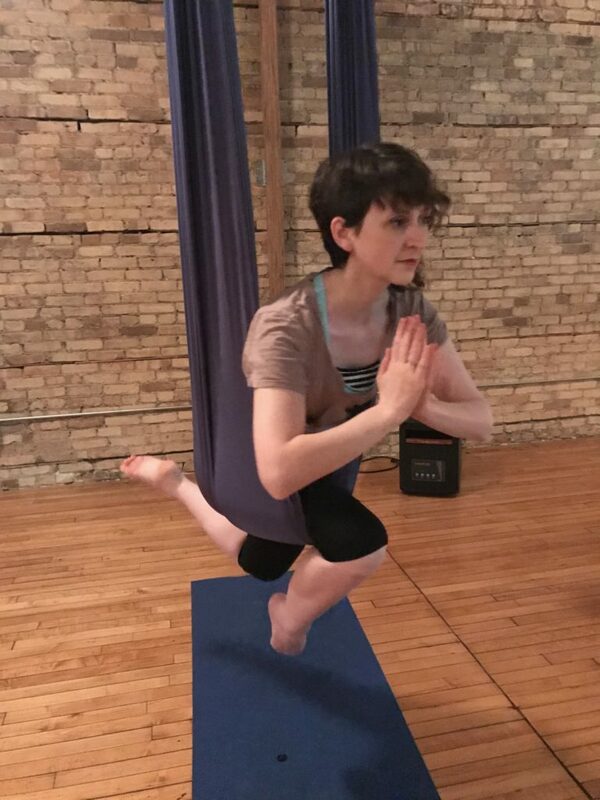 She ran us through 26 iterations of Surya Namaskar (sun salutations – see video) in a fast pace, repetitive practice. I found this to be weirdly refreshing and I loved how quickly it got my heart rate going. Also they had a live band playing music which was lovely. Wisconsin, you are a delightful surprise.